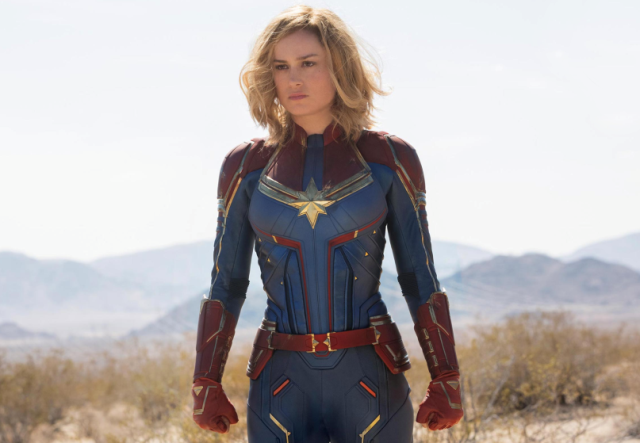 The Marvel Cinematic Universe’s latest superhero, Captain Marvel, has finally arrived and we can’t help but obsess over her. The much-awaited first trailer of Captain Marvel was released on Tuesday. Touted as the ‘strongest avenger’, Captain Marvel is expected to bring many changes to the cinematic universe. The first reference to the superhero was during the post-credit scene of Avengers: Infinity War, when Nick Fury sent her a message via pager before dissolving into dust. In the trailer, Carol Danvers/Captain Marvel (played by Oscar-winner Larson) crashes into Earth. She says that she has some memories of her time there, but she seems to have lost many of them after becoming a member of Starforce. During her journey, she enlists the help of an unlikely ally in the form of Fury. Jude Law, who also stars in the film, is featured in the trailer and there is a brief glimpse of Humans actress Gemma Chan and Marvel’s Agents of S.H.I.E.L.D actor Clark Gregg. The movie is set in the 1990s, a timeframe that will set it apart from most of the other films in the Marvel Cinematic Universe.